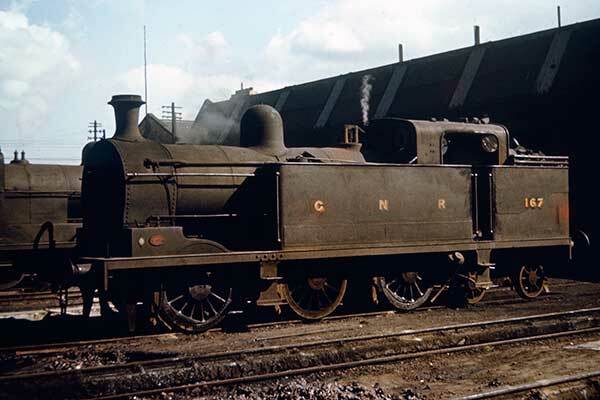 Caption - Great Northern Railway (Ireland) 5 ft 3 in gauge RT class 0-6-4T no. 167 built by Beyer Peacock is seen at Adelaide loco shed, Belfast. The GNR (I) imitated its English namesake and this is clearly seen in the design of many of its steam locomotives and rolling stock.